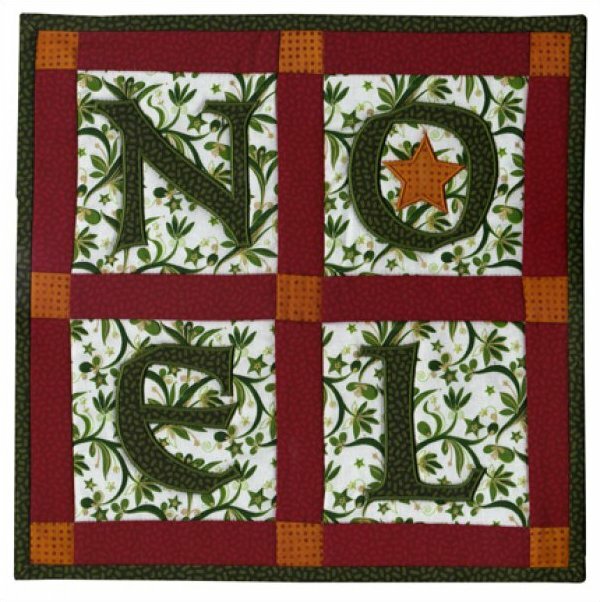 Included in the collection are separate files for the four letters spelling "NOEL" as pictured in the square mini quilt featured in the Fall/Winter 2011 issue of Quilting Celebrations magazine. One set of four files is digitized for stitching with rayon, cotton or poly thread. The second set of four files is for use in stitching with metallic threads. They have a lower stitch count to accommodate for the thicker metallic thread.